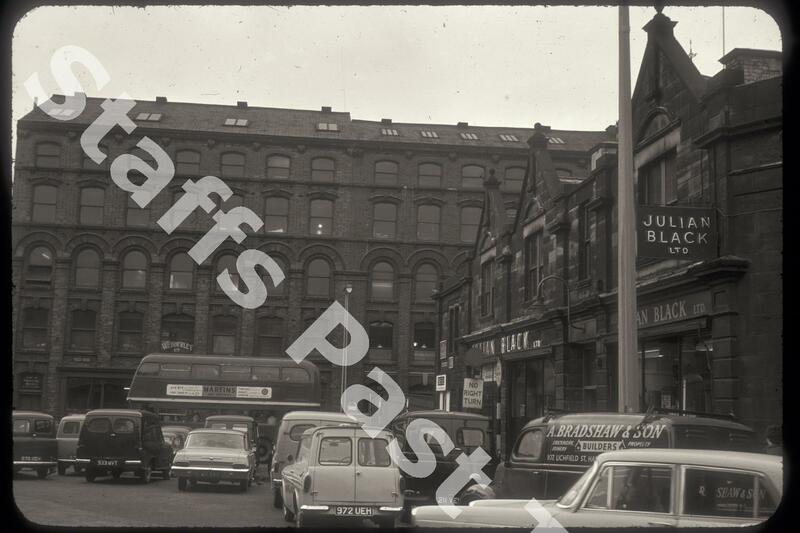 Description:This photograph was taken in Parliament Square looking towards Percy Street. 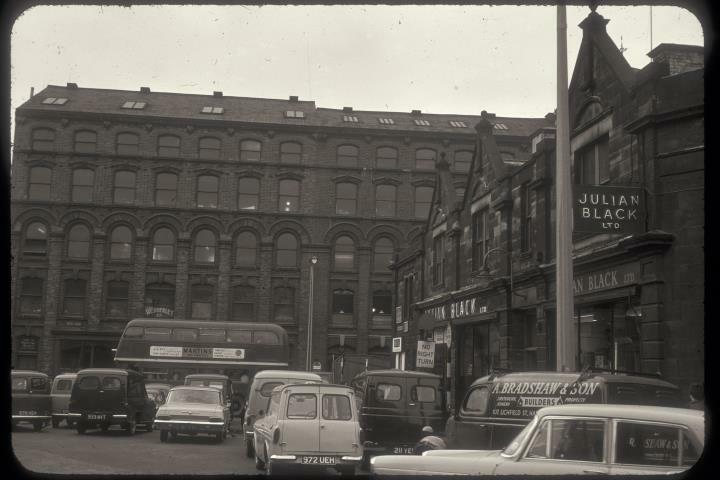 The five storey building in the background is Webberley's printers, stationers and booksellers, founded 1913. Dating from the 1880s and called Free Trade Buildings, this building was the home to Webberleys from 1924 until closure in 2016. On the right is the former meat market building. Opened in 1831 as "a shambles" (a butcher's slaughterhouse) the building finally closed as a market in 1987, with the opening of the indoor market below The Potteries Shopping Centre. At the time of the photograph, the shop front on Parliament Row was occupied by Julian Black Ltd, a carpet and furnishings store. Today the street area has been pedestrianised, no longer a car park.